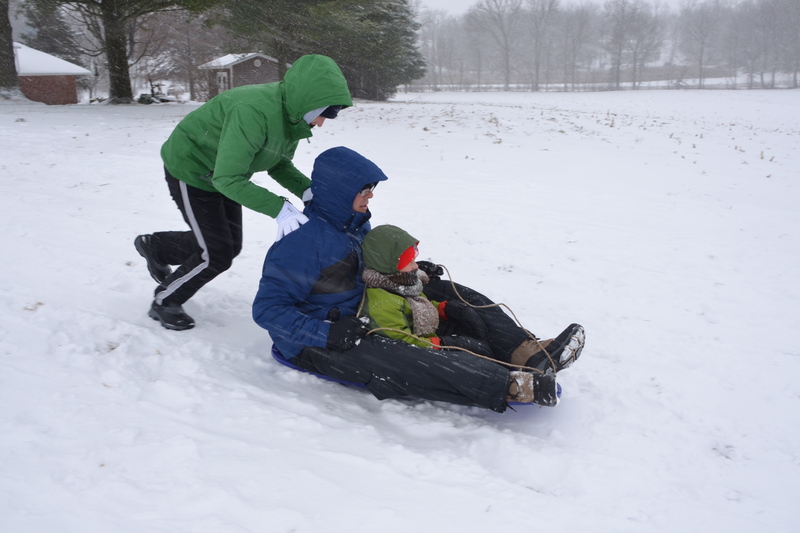 When it comes to winter weather, the younger generations now have something to brag about. They have finally experienced a good old-fashioned winter. It’s been a long time coming, too. Sure, we’ve had bitter cold snaps, and heavy snows in the past few decades. But nothing has resembled the winters of my youth or those older then me for that matter. The worst back-to-back winters that I can recall were those of 1976-77 and 1977-78. They were record breaking, unforgettable winters. Once we went from tornado warnings to blizzard warnings in a matter of minutes. Extreme cold followed the blizzard. Those storms brought wide-ranging effects with no exaggeration needed. We had 22 foot snow drifts behind our house. A front-end loader shoveled the snow out of our driveway. The driver of a semi-tractor trailer truck was buried for days in the cab of his truck. The tip of his radio antenna sticking out of the snow enabled rescuers to find him. Given today’s digital gizmos, do I need to explain what a radio antenna was? The severe weather closed school for 17 days. Those of you who lived through those fateful winter storms have your own amazing stories. Of course, I was a young man then, not a youngster. Youth tend to remember the upsides of harsh winters. They leave the negatives for the adults to unravel. I was no different. 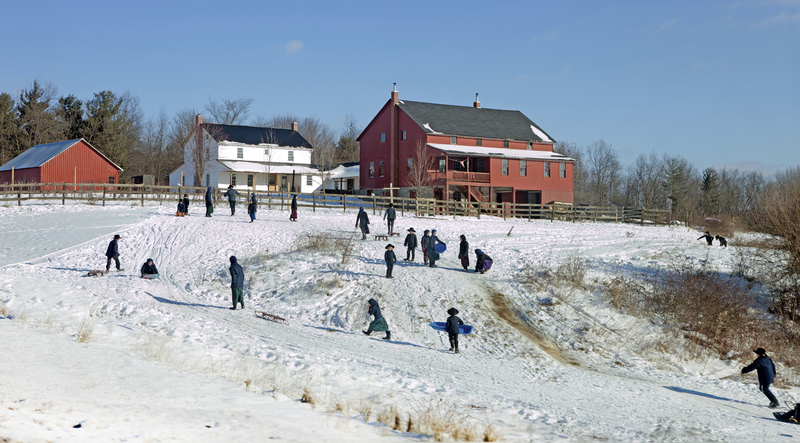 When heavy snows hit and extended cold spells settled in when I was a kid, the outdoors was our playground. I’m sure mothers everywhere were grateful for that. We would bundle up as best we could, layered with jackets, stocking caps, scarves and fur-lined gloves. Off we would go, sledding, ice skating, making snow angels and snowmen, snow forts, and firing volley after volley of snowballs. We never had to worry about running out of ammunition. We played until we got too cold or too wet or both. We went home, and hung the soaked clothing as close to the furnace as possible where it was likely to dry the quickest. At school, kids’ clothing covered the old steam radiators until the next recess. These memories weren’t from one-time storms either. This was the way winter went. It was extremely unusual if snow didn’t cover the ground for a majority of the winter. This wasn’t true for just my youth. I remember seeing pictures and hearing stories from my parents and grandparents about how difficult their winters had persistently been. I recall seeing pictures of gangs of volunteers clearing the state route in Mt. Hope, Ohio by hand with shovels, not plows. The snow was piled well above their heads. That hasn’t happened in recent years. In fact, records show that nine out of the last 10 years global records have been set for above average annual temperatures. That did not bode well for a sustained winter anywhere. For a multitude of climatological reasons, that has all changed this winter. Storm after storm, often following similar tracks, have pelted most of North America, especially areas east of the Rocky Mountains. Snowplows have worked overtime clearing the roads. Road salt has become a precious commodity. This winter certainly has been a doozy. My guess is it will leave the kind of lasting impressions on the younger generations like it did for my generation and those previous. There is one minor problem that I hate to even mention. Winter isn’t over yet. More memories may yet be made. 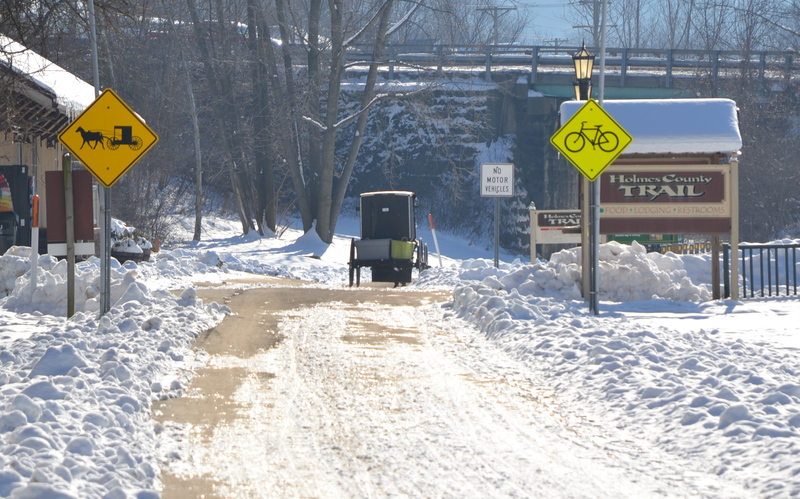 Amish buggies regularly use the Holmes Co. Trail, even in winter. Wonderful pictures. Here in the UK we have a different winter. Storms bringing rain and wind. Record ones – worst for 250 years. What is happening? Thanks. Yes, I understand the you have experienced a miserable winter with lots of flooding. What’s happening? I wish I had the answers. I just know that we have been long overdue for a winter like this. However, much of the world is having record heat and drought at the same time. I call it global weirding. Thanks, Ron. This is a great article. Beautiful photos. Thanks for sharing your wonderful experiences. Great post and wonderful photos, Bruce. I’m a ripe-old 32 years but I nonetheless remember winters in Trumbull County, OH being much worse than they are now. I used to sled in the nearby park woods over snowdrifts that were easily 10 feet high. I’ve always liked winter, although nowadays, having to street park in limited-space Toronto, I’d like a break because we’re running out if space to put the snow! Thanks, Jarret. I understand from our several Ontario friends that it has been a very harsh winter up north. Let’s hope it soon ends, although the week ahead doesn’t look promising.